← Dinesh D’Souza Book, Saul Alinsky revealed, and a guest post. The ObamaCare-IRS Nexus. Game over, Tyranny wins? This post is primarily sourced from a recent OP ED from Wall Street Journal. As Obama legislates with his pen and overreach by Federal Agency after Federal Agency combines, America is approaching the end game. Instead of the “Shining City on a Hill,” a Constitutional Republic noted for Freedom, Exceptionalism, and a Bill of Rights, America in 2014 is looking more and more like a socialist (or Alinsky communist, small “c”) State. At a time when the world is moving away from Socialism and central control, America is rushing headlong for it, perhaps over the cliff and into decline. For all practical purposes, America is becoming a nation with porous borders, run by a President with absolute power who uses faithless and selective enforcement of our laws to suit his own political agenda. We are close to the point where abuse or largesse can be selectively meted out to citizens by unelected, unaccountable bureaucrats to reward or punish political behavior. How can citizens start to turn this around before we are crushed? What laws are the worst in American history? I’m sure experts can come up with a list, though it may take generations for honest discussions. If you want my three top candidates, how about these: Slavery, Prohibition, and ObamaCare? There are other toxic bodies of law, of course. The tax code is a disaster, one that came from Prohibition, and one that makes citizens “guilty until proven innocent.” When you couple it to ObamaCare and put the IRS in charge, God help us all. Obama mucking around with his Imperial pen only makes matters worse. Innocent citizens are not only losing our rights, we are being made into criminals. It is becoming eerily like the old Soviet Union where everyone was watched and everything they did was illegal, except that now the surveillance is more intense. Brad Thor, the novelist, has called this the “Total Surveillance Society,” while others are speaking of “Prisons without Walls.” My own novel, Privacy Wars, predicted both the NSA and IRS scandals, and here I thought I was writing fiction. From BLM to OSHA, EPA, NSA, FEC, DOJ, the VA, and even the Park Service there are reported abuses, but, above all, it stands out that the IRS is the agency most widely hated and feared — and the one chosen to oversee ObamaCare and the “ObamaCare core,” a massive database of health, financial, and personal information on all Americans. This is not about healthcare, it’s about control. As Dinesh DeSouza argues in his best-selling book, America: Imagine a World without Her, our nation is being erased. We are now undergoing the Second American Revolution, one that was started in 1968 by a band of revolutionaries and Vietnam Protestors from the far left. This is already well underway. Important Note: There is a misplaced belief that the IRS only targeted TEA Party groups and only in the run-up to the 2012 elections (this and the widespread “loss” of emails under subpoena is the focus of current investigations) but nothing could be further from the truth — which is starting to come out. THIS CORRUPTION EXTENDED TO PEOPLE OR GROUPS DOING ANYTHING THAT OPPOSED THE OBAMA AGENDA, AND IT STARTED ABOUT THE TIME OBAMA TOOK POWER. According to the Wall Street Journal, the Internal Revenue Service used its power to attack pro-Israel groups. While the WSJ article is subscriber only, here is the gist of it. The Journal goes on to report that Jewish groups seeking normal tax exempt status received questionnaires with ideologically oriented questions that are eerily familiar in their nature to the types of political inquiries made to tea party applicants. Now that we know that the IRS engaged in litmus testing of applicants based upon their support of Israel’s right to exist as a pre-determiner on whether a Jewish group should have received 501 (c) status, the Obama Administration can no longer cling to the notion that they were merely focusing upon conservative political groups. This disclosure should frighten every American as it is evidence that our nation’s tax collectors were more than willing participants in a scheme to regulate public discourse using their unique authority. And it reveals an even seedier underbelly to the Obama Administration that can no longer hide behind the left’s outrage over the Supreme Court’s campaign financing decision. They have been unmasked as little more than thugs using the government’s power to intimidate or coerce those whom they disagreed. In today’s foreign policy environment, what does it say that the first groups that this Administration went after were not necessarily domestically focused tea parties, but instead those that supported Israel’s right to exist? Given the Wall Street Journal’s revelations about the content of the IRS questionnaire, it is reasonable to ask how the Obama Administration would answer that very question. The Internal Revenue Service scandal has always gone to the heart of First Amendment freedom of political activity in America. Now, that it is clear that the Agency had broader litmus tests of political ideology than was previously known, House Republicans need to hold firm in any negotiation with the Senate and not allow any of the monies they cut from the tax collectors budget to be restored. Failure to exact a harsh penalty against this rogue Agency would signify a tacit acceptance of their democracy threatening behavior. What’s more, any individuals proven to be behind or involved in these attacks on freedom, should be tried and convicted for their crimes. The power to tax is the power to destroy, and abusing the public trust by targeting perceived political foes using the tax collecting power can never be tolerated in a free society. The author is vice president of public policy and communications for Americans for Limited Government. The supposedly independent agency harassed the administration’s political opponents and saved its health-care law. One of the big questions out of the IRS targeting scandal is this: How can an agency that engaged in such political misconduct be trusted to implement ObamaCare? This week’s Halbig v. Burwell ruling reminded us of the answer. It can’t. The D.C. Circuit Court of Appeals ruled in Halbig that the administration had illegally provided ObamaCare subsidies in 36 insurance exchanges run by the federal government. Yet it wasn’t the “administration” as a whole that issued the lawless subsidy gift. It was the administration acting through its new, favorite enforcer: the IRS. And it was entirely political. Democrats needed those subsidies. The party had assumed that dangling subsidies before the states would induce them to set up exchanges. 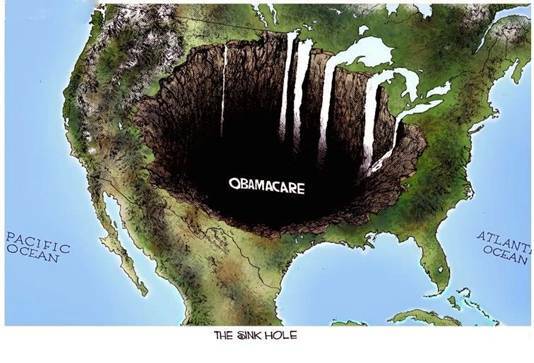 When dozens instead refused, the White House was faced with the prospect that citizens in 36 states—two-thirds of the country—would be exposed to the full cost of ObamaCare’s overpriced insurance. The backlash would have been horrific, potentially forcing Democrats to reopen the law, or even costing President Obama re-election. Emails viewed by congressional investigators nonetheless showed that Treasury and the IRS remained worried they were breaking the law. An email exchange between Treasury employees in the spring of 2011 expressed concern that they had no statutory authority to deem a federally run exchange the equivalent of a state-run exchange. Yet rather than engage in a basic legal analysis—a core duty of an agency charged with tax laws—the IRS instead set about obtaining cover for its predetermined political goal. A March 27, 2011, email has IRS employees asking HHS political hires to cover the tax agency’s backside by issuing its own rule deeming HHS-run exchanges to be state-run exchanges. HHS did so in July 2011. One month later the IRS rushed out its own rule—providing subsidies for all. That proposed rule was criticized by dozens of scholars and congressional members, all telling the IRS it had a big legal problem. Yet again, the IRS did no legal analysis. It instead brought in a former aide to Democratic Rep. Lloyd Doggett, whose job appeared to be to gin up an after-the-fact defense of the IRS’s actions. The agency formalized its rule in May 2012. To summarize: The IRS (famed for nitpicking and prosecuting the tax law), chose to authorize hundreds of billions of illegal subsidies without having performed a smidgen of legal due diligence, and did so at the direction of political taskmasters. The agency’s actions provided aid and comfort to elected Democrats, even as it disenfranchised millions of Americans who voted in their states to reject state-run exchanges. And Treasury knows how ugly this looks, which is why it initially stonewalled Congress in its investigation—at first refusing to give documents to investigators, and redacting large portions of the information. 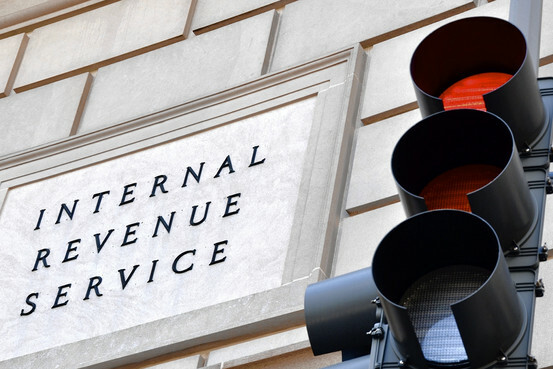 Administration officials will continue to use the IRS to try to improve its political fortunes. The subsidy shenanigans are merely one example. Add Democrats’ hijacking of the agency to target and silence political opponents. What you begin to see are the makings of a Washington agency—a body with the power to harass, to collect, to fine, to imprison—working on behalf of one political party. Richard Nixon, eat your heart out. Action: If we want to stay free, the IRS must be held accountable and ObamaCare must be repealed or rewritten. A majority of the public has always opposed ObamaCare, but time is running out. This entry was posted in Actionable, Constitution & Gov, Non-Fiction and tagged Dark Side, Guest Author, Tyranny. Bookmark the permalink. 8 Responses to The ObamaCare-IRS Nexus. Game over, Tyranny wins? 1. A majority of the public has ALWAYS OPPOSED IT. 2. It was passed only by massive deception and lies, and without a SINGLE Republican vote. 3. This is the ONLY major social legislation in America’s history that passed into law without any bipartisan support. 4. It was NEVER about improving health care or reducing the cost of health care. It was about central control, health care redistribution (e.g., from Vets to illegals), and wealth redistribution. 5. The infamous Death Panels are REAL. 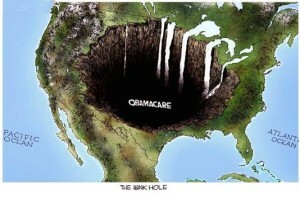 Rationing of care by unaccountable bureaucrats is built in, as an integral, essential part of the ObamaCare system. This has been admitted to by several on the left, from Guber to Krugman and beyond. The state will ration your access to health care. It can adjust your quality-of-life at its pleasure. Can I prove it? Perhaps someday a select committee will, or perhaps some effort at impeachment, but, no, legal proof is not available at this time. What IS available is proof that this program fits exactly with the promises Team Obama was making to groups like CPUSA to get their support for his Presidential Campaign. Source: The Manchurian President, by Aaron Kline, pp. 148-149. This was predicted PRIOR to the 2008 elections. In 2015 most of it has already come to pass, and the rest is in process. THIS ONE IS VERY FUNNY. LOOKS LIKE THE SMART LIBTARDS AT HARVARD GOT GRUBERED ALONG WITH THE REST OF US. That’s to describe the response of the Harvard Faculty to the changes in THEIR health care mandated by Obamacare, otherwise now to be known as the Unaffordable Health Care Act. UCHA – maybe you have to be German to pronounce it. And the final, most unkindest, cut is that an MIT chap – Gruber, whom you may recall – predicted that it would pass due to the stupidity of the American people. So these, the brightest, are equally unable to see past the end of their noses. Who would have guessed. Perhaps only those who observed that congress had always exempted itself from its own laws until the Gingrich revolution brought them into the fold. The brain incubator at Harvard, the place which according to legend, and certainly the US News and World Report’s annual paid college infomercial, is the repository for some of the smartest people in the world, is furious. EVEN THE NY TIMES PICKED THIS ONE UP. They spun it heroically, of course, being great apologists for the radical left, but even their version is VERY amusing. A nice summary by a Purdue engineer . . .